Wendy Hiller DBE (15 August 1912 – 14 May 2003) was a film and stage actress. Wendy was born in Bramhall. She began acting in a Manchester repertory company in the early 1930’s. Wendy was a huge success in the stage version of Love On The Dole and eventually married the play’s author, Ronald Gow. Her first three starring roles in films, Pygmalion; I Know Where I’m Going and Major Barbara were all strong female characters. 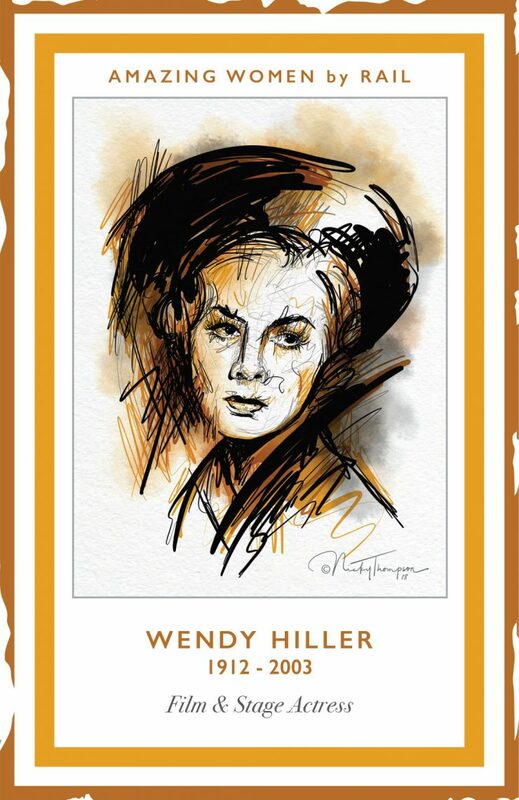 Wendy won an Oscar in 1959 for Best Supporting Actress in Separate Tables and won acclaim and awards for her role in the 1974 film, Murder On The Orient Express. Halliwell’s Film Guide notes Wendy’s “inimitable voice and clarity of diction” which she maintained throughout her career.